The Jamaican Ministry of Education has introduced an incentive scheme in an effort to boost the CSEC (Caribbean Secondary Education Certificate) examination performance of the island’s students. Incentive or merit pay entails using the success and performance of teachers in the classroom as the basis of their pay, rather than qualification and seniority. Proponents claim that this would avoid rewarding mediocre or underperforming teachers, as well as enhancing the recruitment of qualified teachers. However, this is not a new idea. It has been soundly rejected by most education systems in the world for decades. Merit pay is not a good approach because of its subjectivity and misplaced emphasis on external examinations. The initiative is nonsense because it will create more problems that are worse than the one it attempts to solve. There is no universal, adequate or fair way to judge the performance of teachers. Most of the criteria for effective teaching cannot be measured. There is more to educating a child than a standardized test score. 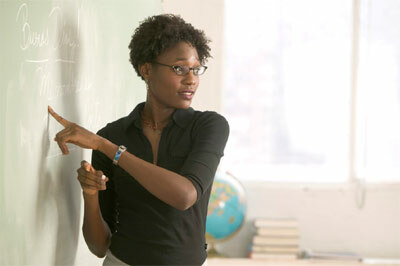 Teachers mentor, counsel and impart life skills to students. Teachers encourage students to continue their education. They raise the confidence levels of students. These aspects of teaching cannot be measured, but must be awarded if merit is to be acknowledged. Undue focus on external examinations is counter-productive. In addition, there is no single teaching style or skill that is superior. One teacher may emphasize deadlines, while others focus on other equally important issues such as tardiness, decorum, logic, life skills, or conflict resolution. Moreover, student achievement is based on factors that may have nothing to do with teachers such as: commitment, study skills, organizational and time management, goal-orientation, motivation, the home environment, and nutrition. Paying some teachers more than others based on arbitrary and subjective criteria is absurd. The Jamaican government can improve the educations system by following the successful models of education. First, quality teachers should be recruited through decent compensation. For example, in Canada, there are teachers in the classroom who earn over Cad$100,000.00 per year (J$6,800,000.00) who are motivated to make a difference in the lives of students. This philosophy should be adopted. There should be one Board of Education consisting of knowledgeable and competent professionals who oversee that the best practices are followed throughout the entire nation. The system should be equitably funded with standardized curricula to avoid disparity between schools. The current system of having community members on the School Boards of each school is ineffective because in most cases these individuals do not have a background, knowledge or understanding of education, child psychology, the curricula, or school operations. Their decisions are based on past personal experiences, rather than being guided by a philosophy of education or the international best practices. Unfortunately, having attended school is insufficient qualification to run one. Community involvement is important, but should be limited to participation in PTAs, which is the practice of developed nations. The problem with the education system cannot be unduly blamed on teachers in the context of a lack of resources, standardized curricula, textbooks, resource materials, as well as overcrowded classrooms. Merit pay does not address any of the dysfunction of our system. It is the wrong direction for a nation already off course with regards to education.